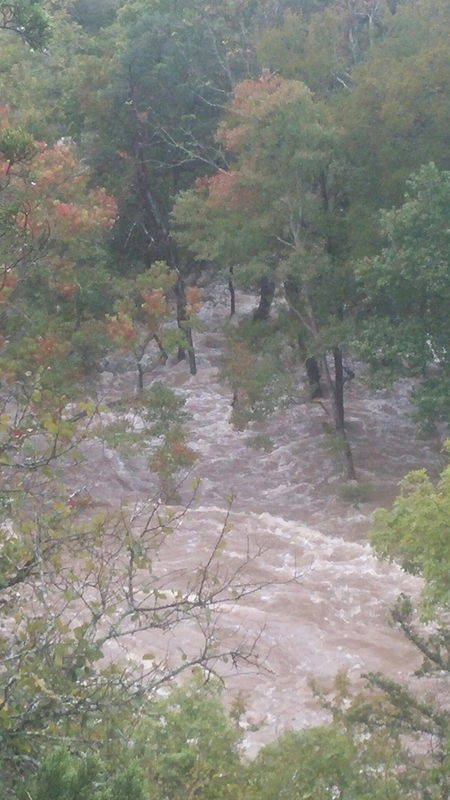 We had a flash flood today. 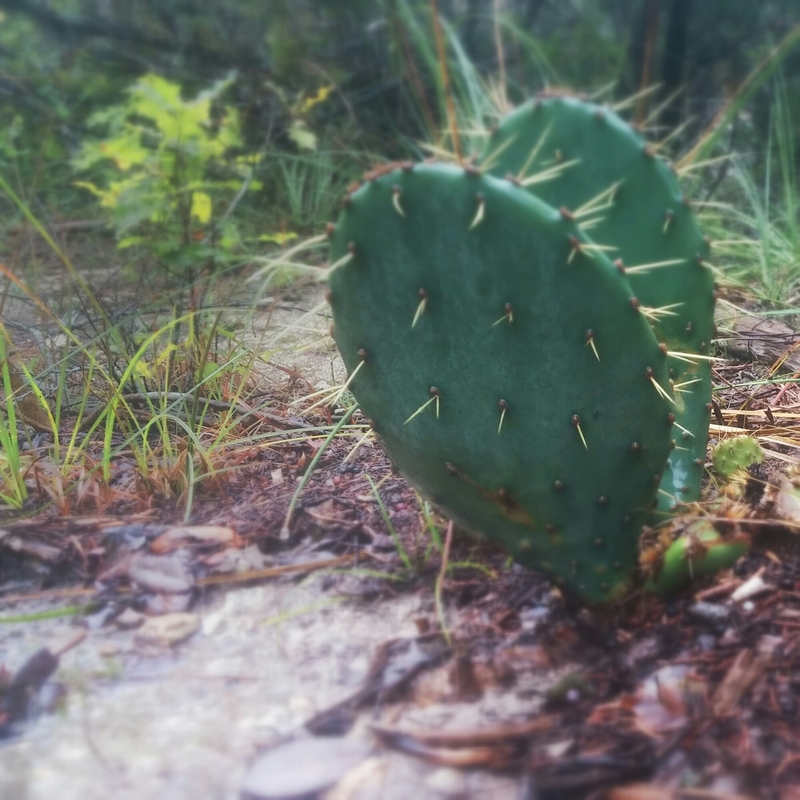 This cactus is behind my house near the flood waters of Slaughter Creek. The water had covered this cactus for sure. 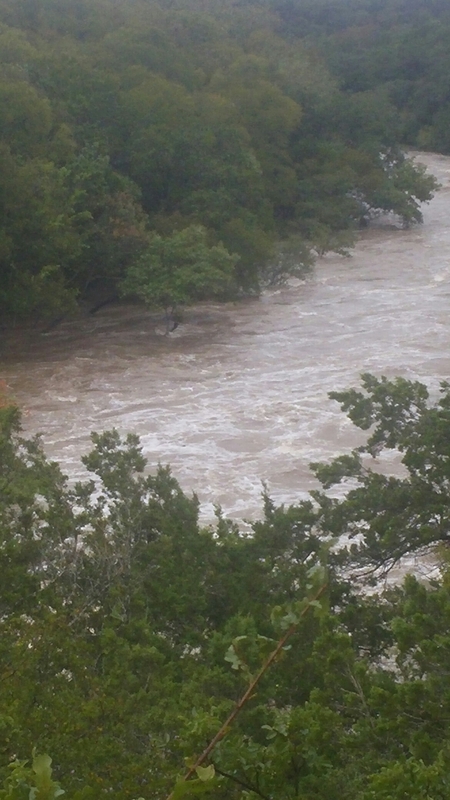 The rain was gushing down to the creek about an hour ago. That’s what happens when you get 6 inches of rain in an hour on hard clay and limestone. Woosh!